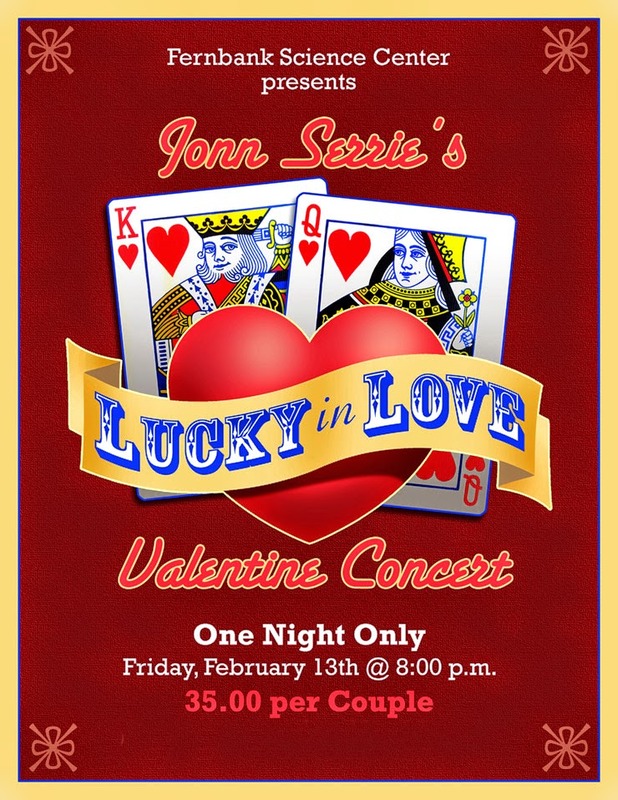 The concert, titled Lucky in Love, will take place the night before Valentine’s Day, on Friday the 13th, at 8 PM. Tickets are being sold in pairs, and will include some special "sweets for the sweet" to enjoy along with the music. Admission will be available at the door, but Fernbank Science Center recommends purchasing them in advance to assure admission. Tickets can be purchased through the Fernbank Science Center website, http://www.fernbank.edu.